December 8, 2011 Dan O. Who loves Christmas? Almost every single British star apparently does. I would give this huge plot synopsis but there really is so much here. Basically, everything in a nutshell, a lot of British folks fall in love with one another and Christmas starts to approach, which as everybody knows, means they all have to basically let their hearts out and tell the truth. When I say there is a lot of stories in this flick, I mean there are a lot but I think director Richard Curtis does a fine job of handling all of these stories at once. He knows how to structure all of these stories together so well that they don’t seem too overwhelming to take in or repetitive for that sake. He doesn’t drop the ball as much as I would have expected him to but when it comes to handling dozens and dozens of love stories in just one flick that runs at 129 minutes, let’s just say that he’s no Robert Altman folk. Where I think this flick gets messed up on is the fact there are way too many stories in this film and rather than just singling out every tiny story that it had, I’ll just tell you that there are some good bits and other bad ones. Some stories were obviously better than others, however, there were some that seemed unneeded because even though they were all comedies at heart, they also had a lot of downer dramatic elements to them as well. There were also many moments with this film that seemed so cheesy and schmaltzy that I wanted to punch somebody in the face as soon as I heard another British bloke say, “I love you” to a chick they’ve known for only 2 days. The whole story with Liam Neeson and his step-son is really creepy and the whole fact that he’s telling his son to go and get it like a man, seemed a tad strange to me and almost like the film was trying way too hard to be cute. The last of my problems with this flick is that it is very uneven. The abundance of stories would have been a little bit more enjoyable if they actually had some evening out with all of the stories but the problem here is that some stories go on for awhile and then you never see the other ones again, until you’ve almost forgotten about them completely. The whole Keira Knightley love-angle seemed very minor in this flick and although that one flash-card scene was cool, the film only has about 3 scenes of this little “romance” brewing up. Too many times I would wonder just where a certain story would have gone, and then when it came up I practically almost forgot about it. Still, even though I’m ragging on this flick a whole hell of a lot, it still won me over. Despite some of schmaltzy moments there is a lot of heart-warming stuff going on here and each little story in their own right, is original and interesting. Take it for granted, there are some lame ones and others that plain and simply don’t belong because they either take up space or aren’t as interesting when it comes to having you smile when the supposed “love” is supposed to be going on. But not only are there a whole bunch of moments that had me tummy feel are warm and cuddly, there were also plenty of laughs to come along with this flick and even though they start to decrease by the end, I still felt myself happy. The reason this film also works is because of the huge ensemble cast that Curtis has brought together. 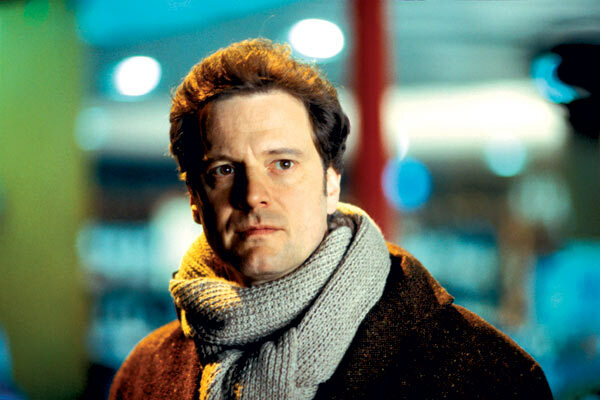 Everybody here does a great job with the ones who stand-out such as Hugh Grant as the prime minister, Colin Firth as a writer, Bill Nighy as an aging rock star, and Emma Thompson as a wife that is getting played with. Everybody here was great to watch and it was just awesome how everybody got to play around with their roles for a little bit, even if they weren’t really doing anything ground-breaking. Let’s not to forget that Andrew Lincoln of The Walking Dead is up in herrre and the always lovely Mr. Bean. People should get the notion that you should put Atkinson in every single British film. The damn guy is always funny! Consensus: Love Actually is very uneven, and has stories that are better than others, but Richard Curtis still handles every story well here with heart-warming and comedic moments that are heightened even more by the charming cast. There were only two stories I cared for in this film: Hugh Grant as the prime minister, and Emma Thompson getting hurt by Alan Rickman. All the others fell flat or were just didn’t work for me. Personally, I liked both “He’s Just Not That Into You” and “Valentine’s Day” better than “Love Actually.” Perhaps I’m not as accustomed to British humor and culture than American, but I felt like at least in “He’s Just Not That Into You,” the stories were all connected well in some way, through some relationship. “Valentine’s Day” also shared many of the same problems of “Love Actually,” but I liked more of the stories and characters in “Valentine’s Day.” I definitely don’t have high hopes for “New Years Day.” Really large ensemble casts rarely work. Large ensemble casts work well only in some films, but here it works to a certain extent. Thanks Kristin! It definitely had its flaws. I had the unfortunate of seeing this film in a test screening. I don’t recommend it to anyone. I have mixed feelings about it. I liked the stuff with Liam Neeson and his kid, Hugh Grant owning Billy Bob Thornton except for his dancing, Colin Firth and the Portugese maid, and the scenes with Rowan Atkinson. Everything else I didn’t care for. I wished they cut out the scene where the kid goes to America because it wasn’t needed. I didn’t like that one at all. There were definitely some parts that should have been left out and others put in more, but it’s a good ensemble treat, even if it doesn’t do anything real spectacular. Thanks Steve! i don’t care what people say – this is one of my favorite guilty pleasure films, alongside The Santa Claus and The Muppet’s Christmas Carol for fine seasonal viewing. 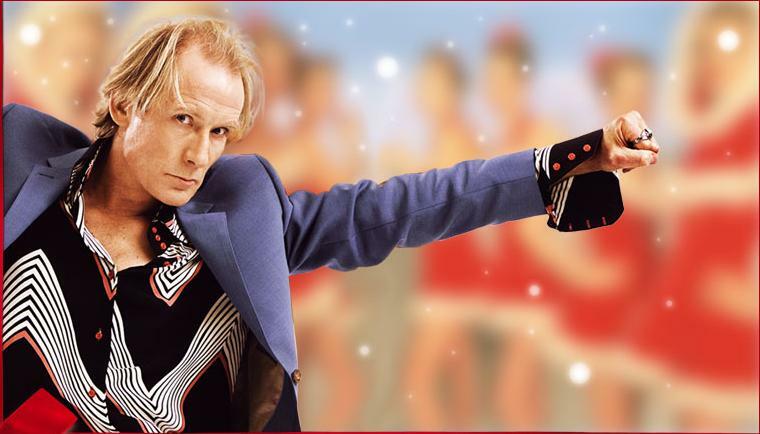 Bill Nighy absolutely slaughters the part he plays in this, it’s one of the funniest roles I’ve seen him in ever! It looks like I’ve gone two for two with my Five Best Non-traditional Christmas Movies reviews. First I did Die Hard which SJHoneywell at 1001plus had reviewed just the day before, then I did Love Actually which you reviewed just six days before. I guess I’ll find out if I go three for three soon. Not necessarily the greatest movie in the world, but it is decent enough, especially for a chick flick, y’know? It’s a shame that the assistant, played by Martine McCutcheon, didn’t become a bigger star here in the states. Notice the similarities between this and Valentine’s Day? Which one do you think was done better?